Help! Should I Buy A New Car Vs Used Car? There's nothing like shopping for a new car in Orlando. Especially whenever you visit our local Volkswagen dealership near you. We have an endless supply of new and used cars for sale near you. So, which kind of driver are you? Would you rather buy a new car with all-new features and upgraded technology? Or, would you rather buy a used car that's just as good as new for a better price? We know. At first glance, this questions seems easy. But before you make your final decision, we think there's a few things that you should know about each of these vehicles. Beyond the price, there are numerous that come with each of these vehicle. Chances are, if you're like most of our customers in Central Florida, you want to buy the best car for you. With this in mind, we think it's important to give you the best information, to make the best car buying decision. Give yourself a few minutes to look at all of the benefits and rewards that come with each of these vehicles, then come schedule your free test drive. We're certain once you see all of the advantages that each of these vehicles have to offer, you will be able to quickly decide which Orlando Volkswagen car to buy. Are you ready? Let's get started! First, let's get down to business. If you're looking to buy a new car, it may cost more, but it's worth more. Plus, you will save money in the long run. Not to mention, for just a little more, you can have a lot more. Just think about it. You probably thought you couldn't afford to buy a new vehicle with Hands-Free Bluetooth Technology, a high-definition rearview camera, and a new Turbocharged Engine. But, with Orlando Volkswagen's new car incentives, it's not as expensive as you think. Remember you're not just buying a new car. You're investing in your future. Therefore, it's important to give yourself a prize winning vehicle with superior long-lasting performance capabilities and features that will last you for years to come. Trust us. The value you receive from buying a new car will be worth triple the price. But, make no mistake, there's nothing wrong with taking advantage of a great bargain on a used car for sale. Here at our local used car lot we know how to help you shop smart, and get more for your money. We've got everything you would expect to pay top dollar for, starting at a rock bottom deal. Even if you're on a tight budget, we have a full line-up of remarkably stunning preowned vehicles for sale. And don't worry, each of our used vehicles have been individually tested ensure with the confidence that you and your family needs. That's right, we make it easy find a great used car with low mileage in pristine condition. But don't just take our word for it. Come see for yourself. It's no secret. Once you buy a new car, you never have to worry about paying for other people's mistakes, again. You also minimize your maintenance fees. In fact, we pride ourselves on offering some of the most advanced and reliable vehicles on the road. Each of our VW models comes standard with state of the art technology that you can count on for years to come. Which means there's no limit to what you can do once you buy a new car from our local Orlando Volkswagen dealership. From performance, to safety, to pleasure, our new vehicle line-up is designed to give you endless satisfaction. Which means you can spend more time on the road, and less time paying for auto maintenance. But, if you're the kind of driver who doesn't mind spending little more on maintenance for a great deal, you should buy a used car. Granted every preowned vehicle has an interesting history, we strive to offer you the best of the best. For this purpose, each of our vehicles have been thoroughly inspected and put through rigorous test to ensure your satisfaction. We believe everyone in Central Florida deserves a high-quality preowned vehicle with excellent features and capabilities. And, we are determined to ensure that you receive the best used car for you. One of the best that you receive whenever you buy a new car for sale, is the warranty. Here at Orlando Volkswagen, we offer the people first warranty . Originally designed empower Volkswagen drivers, we offer America's best Bumper-to-Bumper Limited Warranty on almost all of our 2018 models. This warranty consist of a 6 year/ 72,000 mile New Vehicle limited warranty that carry's over with each owner. As a result, Volkswagen cars hold their value longer than your average car. Which means, VW drivers can easily trade in their cars and still receive great value. Not mention, VW drivers also receive excellent savings opportunities down the line. Believe it or not, this is one of the few cars that actually pays to drive. There's nothing like the warranty that you get from driving a new Volkswagen. On the other hand, if you buy a new car, you're vehicle warranty may be expired. Which means you are left responsible for any potential maintenance down the line. As a result, you may have to pay for any wear and tear or damage to your vehicle. Even worst, your vehicle might not come standard with a 6-year/72,000 mile warranty that rolls over with each owner. If you buy a used car, your vehicle may also lose it's value quicker. So which car would you rather drive? As far as features go, the new Volkswagen lineup comes standard with today's most advanced technology. Therefore, you can expect to find more luxury and comfort inside of a new car than in a used car. While most of today's used cars are catching up to the new car market, there's still a gap in technology. And, if you're the kind of person who likes to have all of the latest and greatest features at your convenience, we recommend you consider buying a new car. At the end of the day, everyone wants to buy a car that is reliable. However, if you're the kind of driver who wants to buy a new car with more features, less maintenance, and excellent performance, you should consider a new model vehicle. However, if you're the kind of driver who's looking to save money on your next vehicle, you should consider buying used car. While there's no correct answer to this question, it all comes down to preference. Hopefully, this online car buying guide helped you narrow down your final decision. However if you're still looking for more information about which car you should buy, fill out the free online form below. 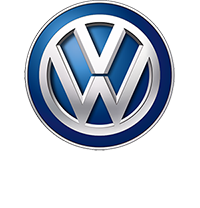 Once you complete the form, one of our professional Volkswagen customer care representatives will help you with any questions or concerns you may have about this vehicle. We will also help you schedule your free test drive in a used or new car for sale. So, let us help you get one step closer to the best car for you. Fill out the free online form below.